Benjamin Pena, @konaspictures on Instagram is a busy guy; a father with a full time job with the fire department, yet still finds the time to be engaged in conservation and hunting advocacy through organizations like Backcountry Hunters and Anglers as well as a mentoring new adult hunters through a program sponsored by the Minnesota Department of Natural Resources. I was introduced to hunting via my mother’s passion to hunt and explore. She used this to focus me and keep me out of trouble, yes keep me out of trouble by exposing me to firearms, bows, axes and the like. Tell us about the adult hunter mentoring program that you are a part of. What is involved with that instruction? I have been mentoring with the Minnesota DNR for the last 4 years through the the Adult Learn to Dear Hunt program. The program is dedicated to introduce new and returning adult hunters to the field through a whitetail deer hunt. We work in group setting as well as mentor-student teams through multiple classroom, field day and range sessions as well as a full weekend of actual hunting in a supervised environment. The goal is for the new hunter to hopefully not only walk away with a deer, but also field skills such as identifying good habitat, how to choose an efficient deer gun, how to sight it in and shoot it to one’s maximum in capability, how to recognize a good shot angle and much more. 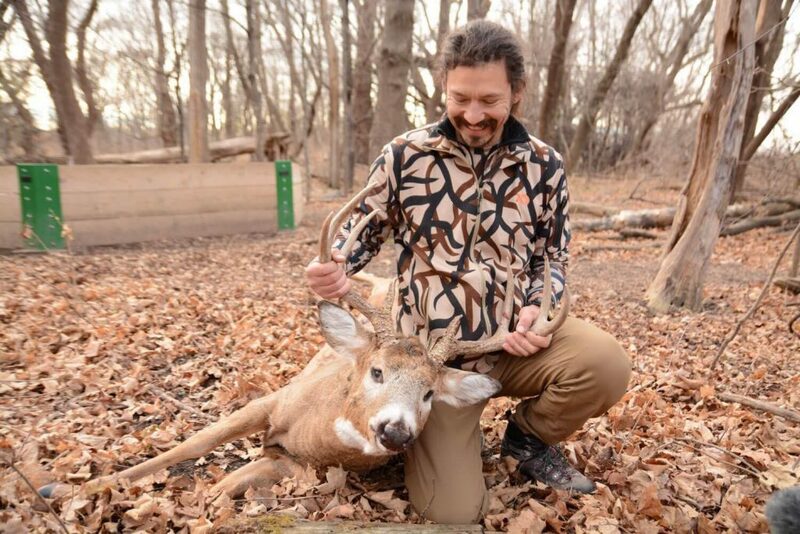 Through this program I have helped more than 40 individuals to do things like butcher deer, how to cap a skull and how to prepare a balanced meal with the game the harvested. 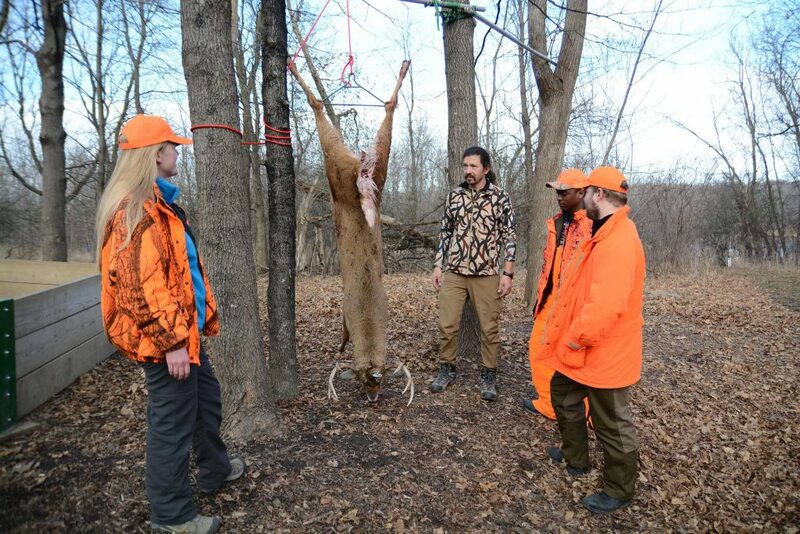 What were some of your motivations in getting involved in this program to instruct new adult hunters? All the skills we teach are things that as a hunter I have done countless times; it becomes almost second nature to those of us who have been hunting for most of our lives. But to a new hunter it can be daunting, time consuming and just plain scary. I understand this because of the way my mother and I learned to hunt at the same time. Sure I could just drop off my deer at the butcher and wait for a call saying its ready, but what exactly is in the nice white clean paper? How do I know that is really my deer meat? So began a long road of learning on our own that has had its up’s and downs. Yes, I have lost good meat due to my mistakes and ill preparedness for all the work necessary to complete the job and I’m still sick to this day over that. But through mentoring in the LTH program, we try to hit on all the potential issues, good and not so good that might arise. This sounds like some pretty in-depth instruction and no doubt must take up a lot of time where you otherwise could be out in the field hunting for yourself. To some, giving time as a mentor seems one sided and I can see that. It takes a toll on one’s time, family and often money. For me I embrace it all because if I can help someone have good experience as part of the hunting community, that is all the reward I need. This year I was fortunate to be involved in an expansion of the LTH program and be the lead mentor at a new hunt location, where a group of 101 new hunters were given the opportunity to hunt, as well as the mentors. The Three Rivers Park District had reached out to hunt. This was in late November and a shotgun only hunt. I was lucky to be picked and was excited to help the 101 hunters get out on their “own” and see how they did, and I was excited to get out myself as I had not got a deer of my own in MN in over 7 years. The Three Rivers has a wonderful program, and an amazing area to hunt. I was fortunate to have been able to harvest a really nice buck and doe on Saturday night and Sunday morning. Some of the kids also harvested some amazing animals. We made new friends, and shared meals and conversations. Getting to harvest my own deer was “icing on the cake” if I may say so. And good eating. Photography in this article courtesy of Matt Lee.